Rahul Gandhi attacked the Modi government for its “lenient” approach towards fugitive offenders like Nirav Modi, Mehul Choksi and Vijay Mallya. 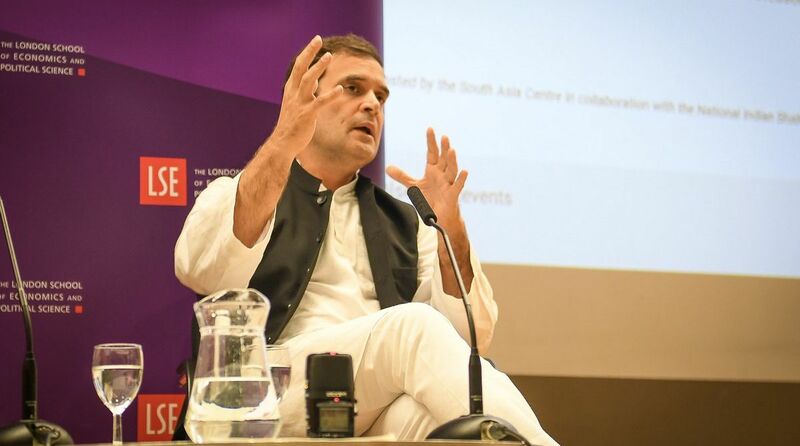 Congress President Rahul Gandhi, who is on a four-day tour to the United Kingdom and Germany, claimed that fugitive liquor baron Vijay Mallya met some Bharatiya Janata Party (BJP) leaders before fleeing the country. He, however, refused to name the leaders. Interacting with the members of the Indian Journalists’ Association in London, Gandhi said that “before Mallya left India, he met senior BJP leaders, that is documented. I won’t name them”. Mallya fled the country in 2016 and took shelter in the UK. The Indian government, which has moved an extradition request, had recently submitted a video of Barrack 12 in Mumbai’s Arthur Road Jail to a UK court where Mallya would be held. He said law should be equal for all. “Just because you are Mallya and have Rs 9,000 crore in the bank, so you require a different jail, it should not be…,” the Congress leader added. Rahul attacked the Modi government for its “lenient” approach towards fugitive offenders like Nirav Modi, Mehul Choksi and Mallya. The Central Bureau of Investigation recently sent a video footage of Mumbai’s Arthur Road Jail’s Barrack No 12 where Mallya is supposed to be kept after extradicion. The specifications of the jail barrack were highlighted after a UK court asked the Indian authorities to submit a video of the jail compartment where Mallya would be kept. The UK court’s directions came after Mallya’s defence team focused its objections on the lack of natural light available in Barrack 12 and claimed that the Indian government assurance cannot be relied upon.